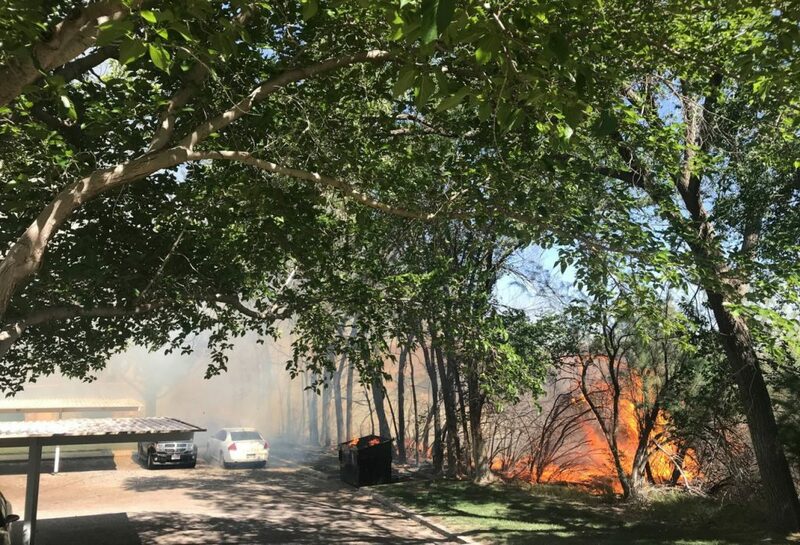 ST. GEORGE – Juveniles are once again suspected to be the cause of a brush fire in St. George Tuesday that threatened homes and triggered evacuations. 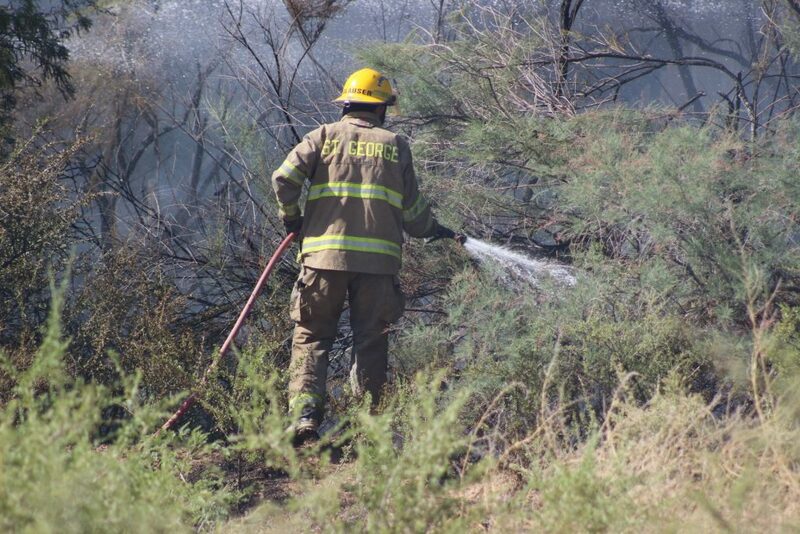 As with the brush fire in the Sand Hollow Wash Monday evening, the St. George Fire Department responded to a blaze where witnesses reported seeing juveniles running from the scene as the fire spread, St. George Fire Chief Robert Stoker said. 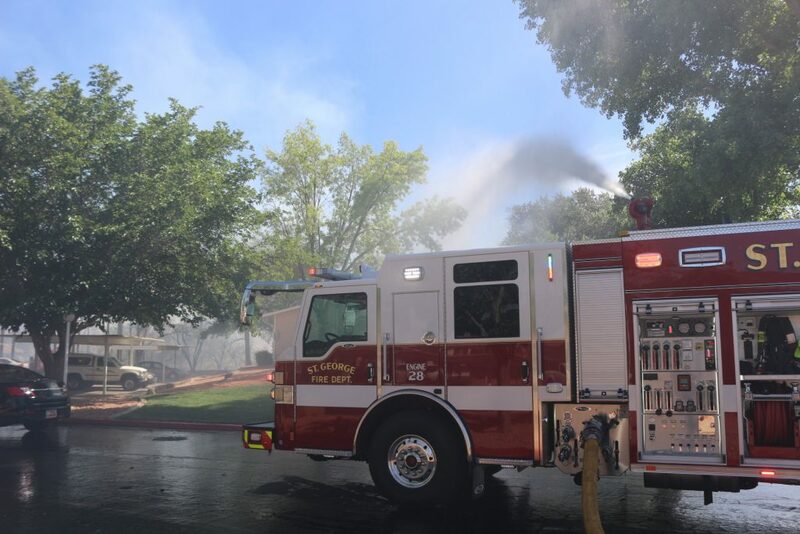 The fire was reported around 4 p.m. at the Springtree Gardens Condominium complex off 2450 East. 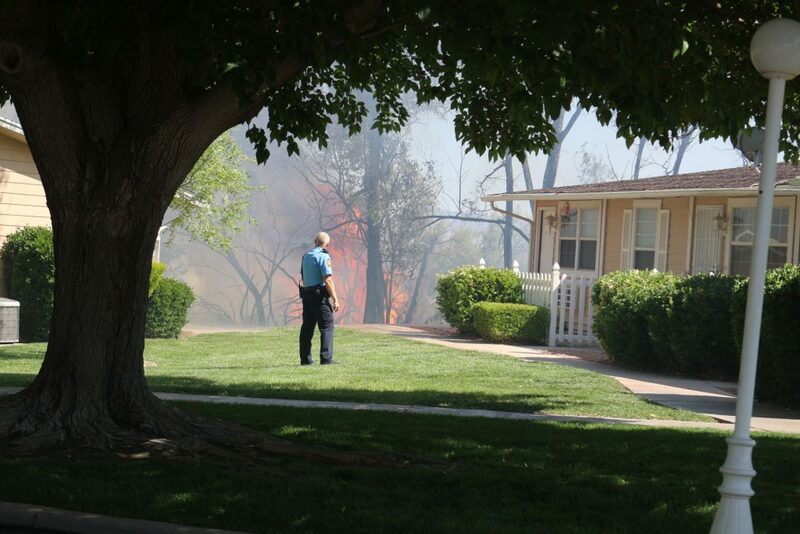 A fire had ignited in the field directly behind the condos. 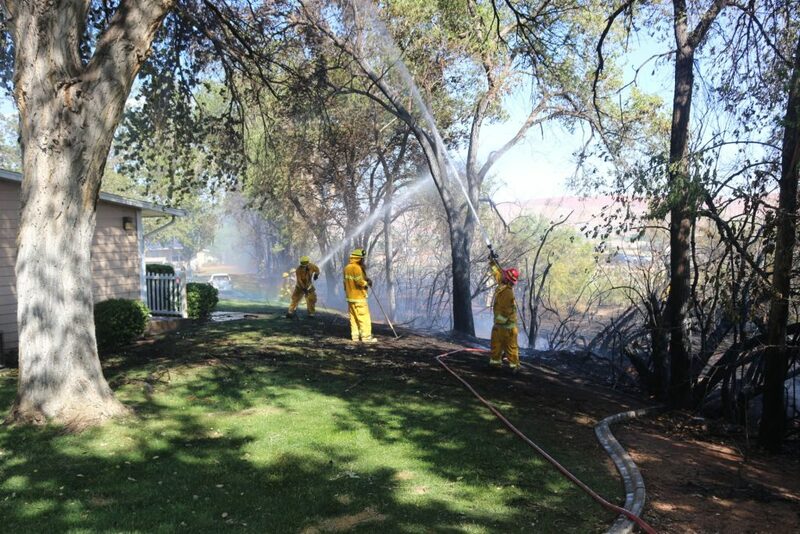 The fire grew to cover a large section of the brush and cottonwood trees that separated the condo complex from the field. 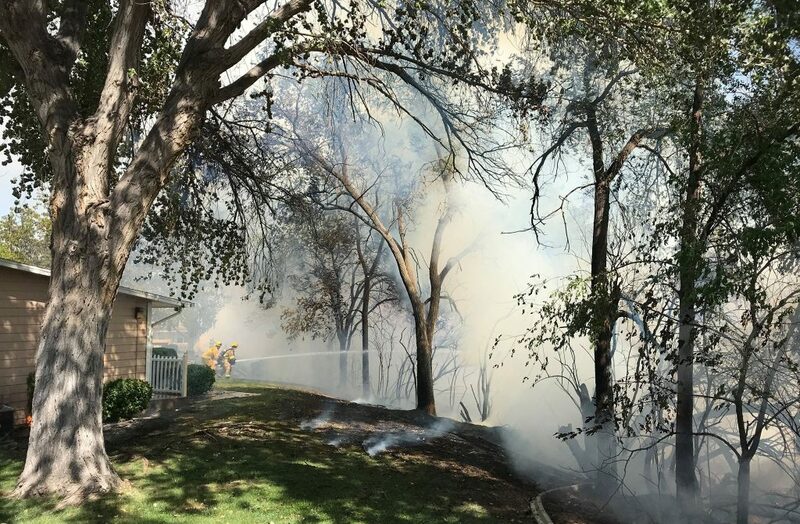 As the fire spread along the brush, it threatened multiple structures, which led to an evacuation that was aided by responding officers from the St. George and Washington City police departments. “We were in the living room … when we had a loud knock on the door and somebody said: ‘There’s a fire, get,’” resident Arlene Trani said. Her condo was one of the closest to the flames. 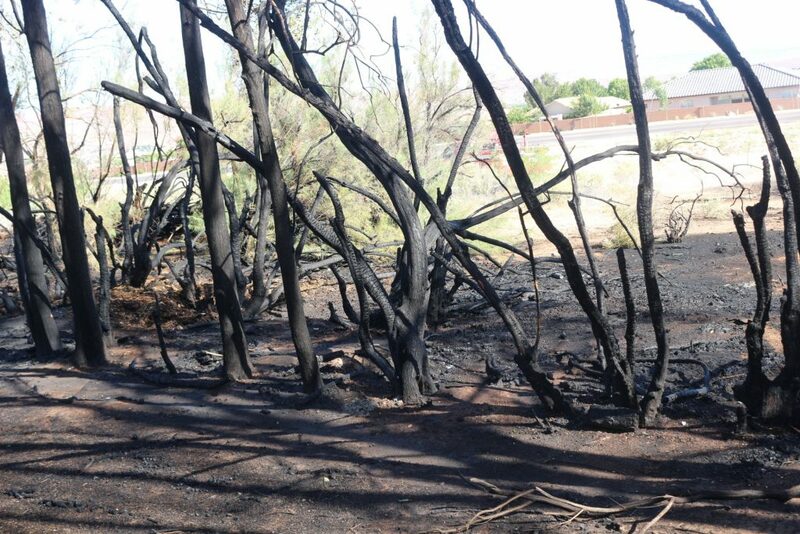 An apartment near the fire received some outside burn damage: bushes in front were torched and a plastic fence was burnt and partially melted away. 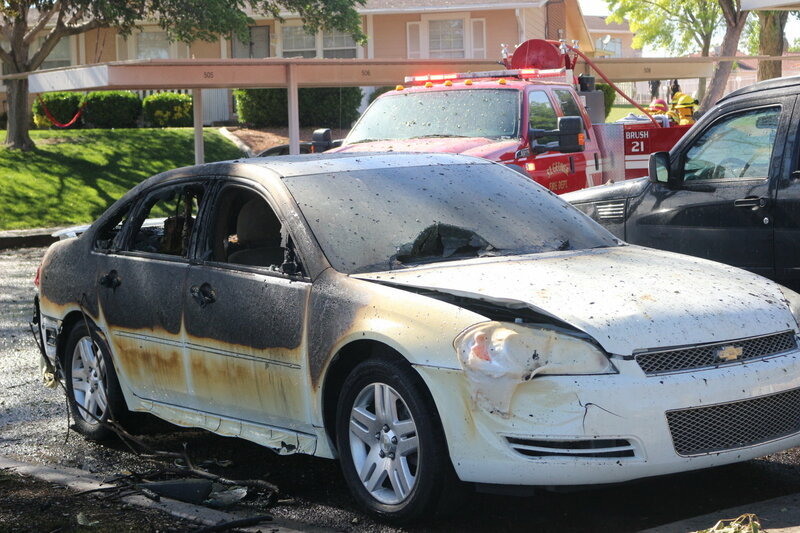 Two cars parked near the burning line of trees were also damaged. 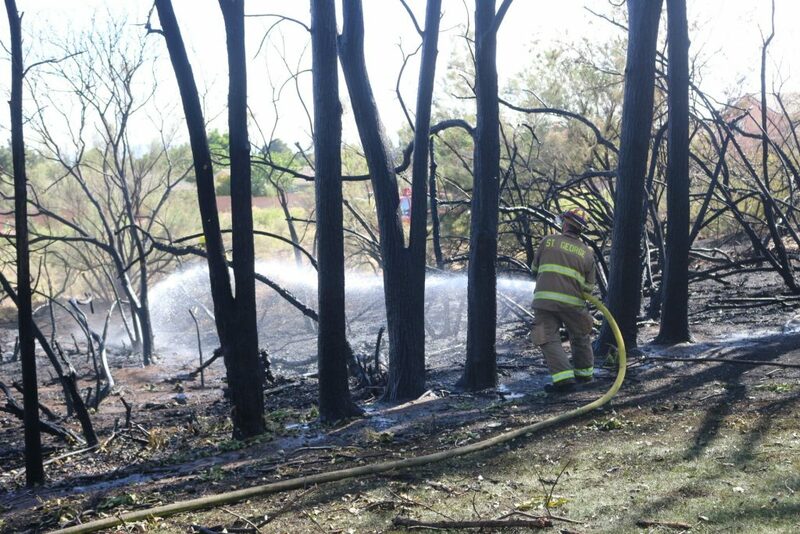 The vehicle closest to the trees was a total loss, while the other received some burn damage, Stoker said. “There is several thousands of dollars worth of damage to the vehicles and building,” he said. No injuries were reported, however. Multiple fire trucks and firefighters responded to the scene and were able to knock down the fire while the police kept onlookers from getting too close. 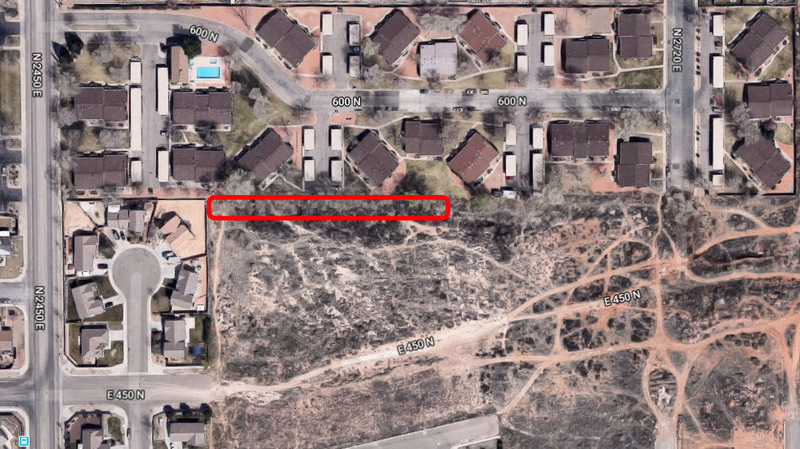 As is the case for Sand Hollow Wash, responding to fires in the brush alongside the Springtree Gardens complex isn’t unusual, Stoker said. 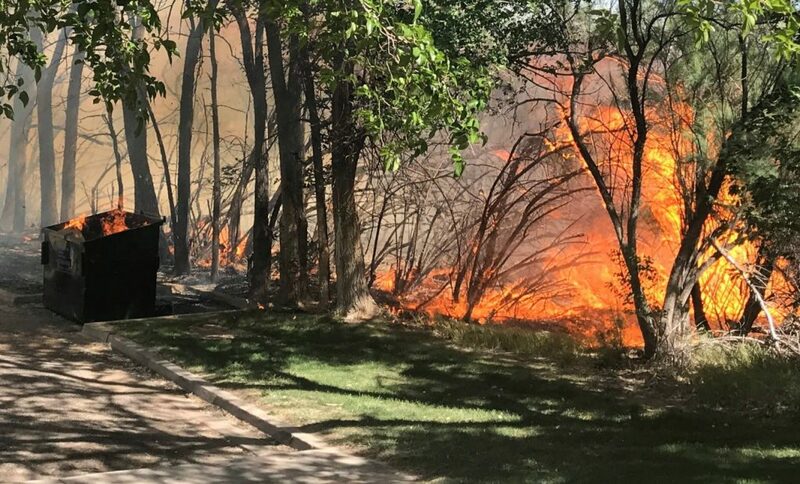 “We’ve had several fires in this area over the last several years,” he said, adding that it can be multiple times a year, especially during the spring and early summer. 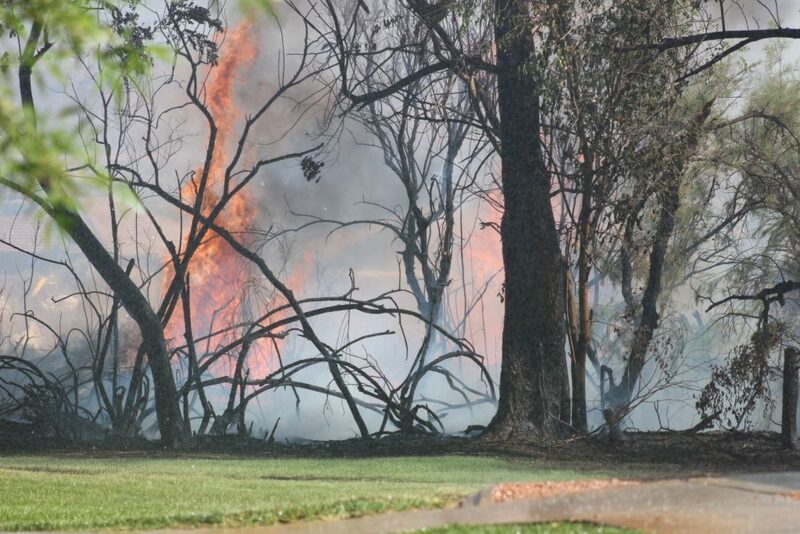 Some of the previous fires in the area are believed to be caused by children. “More likely than not, we’re looking at kids again,” Stoker said, adding that the police are interviewing witnesses in an attempt to locate the juveniles involved in Tuesday’s fire. 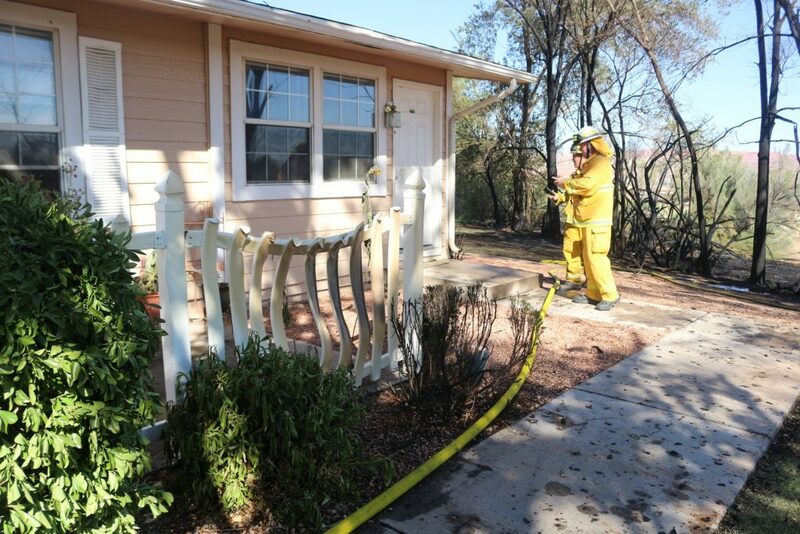 Parents need to watch their kids and make sure they know what they’re doing, Stoker added, because if a juvenile is caught, it is the parents who will be stuck with the bill for the fire damage and the fire-suppression costs, which can get pricey. 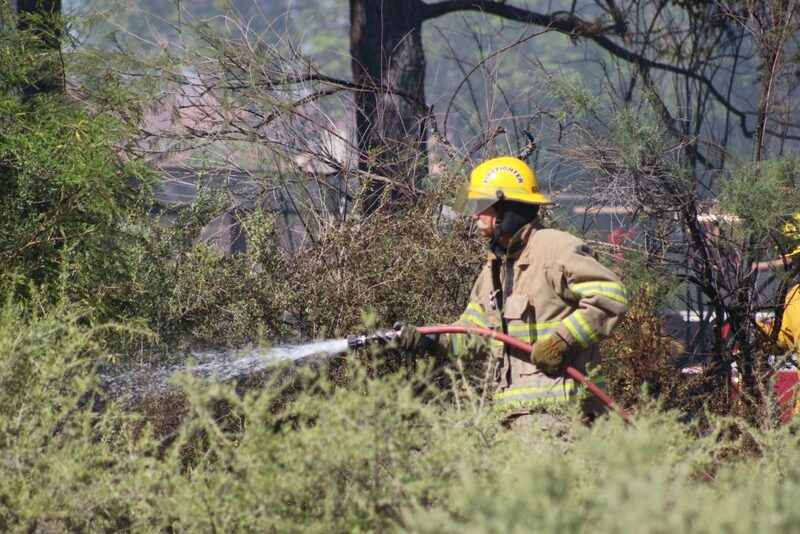 Stoker told St. George News last summer that fire-suppression costs are broken down into an hourly rate. A single fire engine can cost $198, while a ladder truck can be $210 an hour. 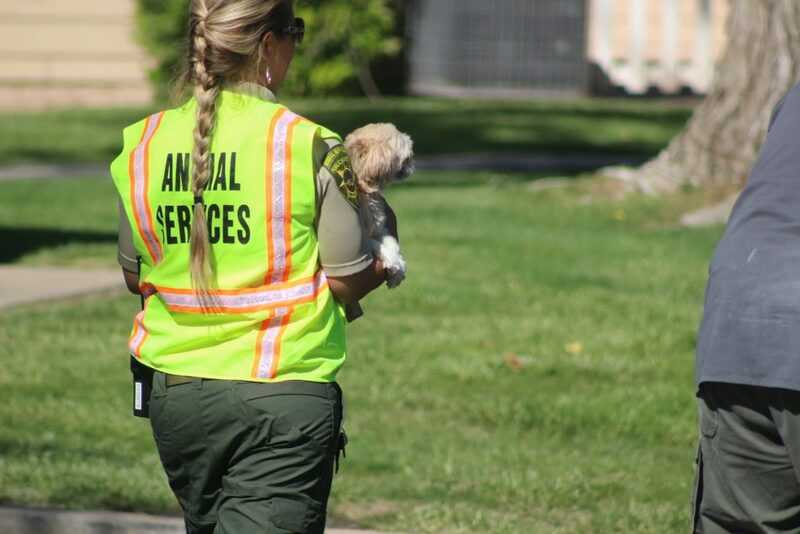 As for the personnel, a single firefighter can run $36 an hour. So if a fire engine is called out to a fire for an hour and brings six firefighters, the cost of that single hour would be $414. Stoker also asked that the public not block access for emergency vehicles responding to an incident. Due to the mass of people who wanted to see the fire, one of the firetrucks had difficulty accessing a nearby fire hydrant.